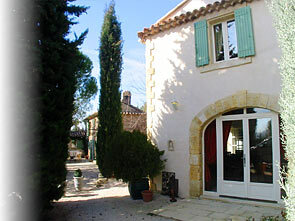 - 1 family gite for 4/6 persons (3 bedrooms, 2 bathrooms, kitchen with dishwasher, sitting room with tv and dvd...). Fully equipped kitchen area, Sitting room with double sofa bed, Separate bedroom with double bed, Bathroom with shower, Separate wc. Private terrace with table, chairs and sunloungers. Large swimming pool with childrens pool area. Our spacious and comfortable villa offers a choice of self-catered or catered holidays for small or large groups up to 14 guests. 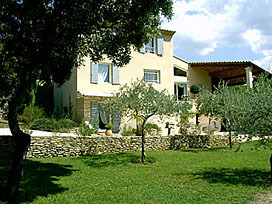 Villa La Pinede is set in two acres of private wooded hillside- perfect for peaceful rest or quiet read in the shade. From the extensive balconies and terraces you can appreciate the quiet Provencal countryside, yet you are only a few minutes walk from Maussane centre with its wide choice of shops, restaurants and open air cafes set around the old church in the village square. 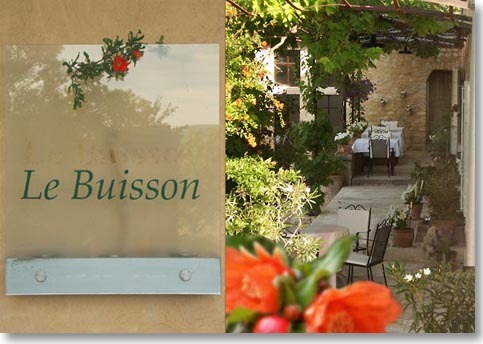 "Le Buisson" at Goult is a well-placed base camp for your holidays in Provence, set in the heart of the "Parc Régional naturel du Luberon". In this typically restored mas you can relax an enjoy life with all senses. From here you can discover this beautiful landscape: The picturesque villages: Gordes (9km), Bonnieux (6km) and Roussillon (6km) famous for its ochre-mines, are nearby, ideal for walking or riding. In the house or in the cottage, surrounded by oaks and olive trees, whether in the shelter of the “borie” or by the swimming-pool, you will relax and enjoy the peace bathed in the sun and all the smells and colours of Provence. In the heart of Provence and its antiques and in the valley of the river Sorgue, between the Luberon and the Alpilles mountains, Corinne and Gilles will be delighted to welcome you to their place where charm and comfort go well / rhyme with simplicity and warmth. At the very heart of the Luberon Natural Parc we will be very happy to receive you in two independent houses, "Le Mas" and "La Ferme", build and decorated in warm Provencal style. villages of Gordes and Roussillon. We offer you quietness on our 900.00 sq.feet domain of vineyards and garden in which you find truffle-oaks, cypresses and olive trees. Experience the enchantment of the fragrance of thyme, lavender and rosemary. In the land of the poet Frédéric Mistral, village natives Caroline and Christian welcome you to their lovely Provençal farmhouse. They invite you to share their passion for Provence, its customs and traditions. Only a few steps from the village center, this farmhouse offers the calm you seek. Relax and take advantage of the pleasures of southern living. 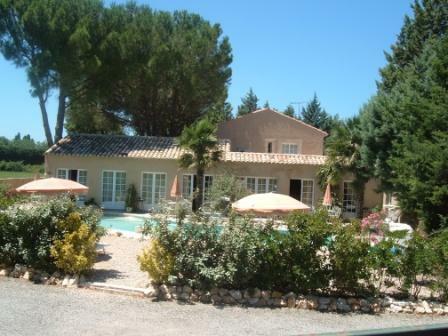 Located five minutes from St Rémy de Provence and 15 minutes from Avignon TGV terminal, it is an ideal home base for exploring the markets of Provence. Dominique and Michel Plan will welcome you into refined settings wich have twice been placed at the very top of the departmental rating. This oasis of quiet greenery is an ideal setting for hollidays wich are truly out of the ordinary. 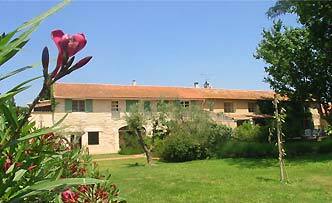 Various top-quality Gîtes are available, all havins obtained the "three corn-ear" rating. 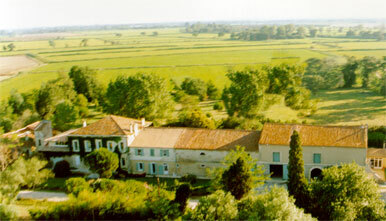 The Mas du Grand Antonelle is a lengthwise rectangular stone dwelling, and is often quoted as an example of typical camargue architecture, the first historicité records of it date from the 17th century, when the main part of it was built. which was formerly part of the estate of the Château de Fourques ( XII th c ). 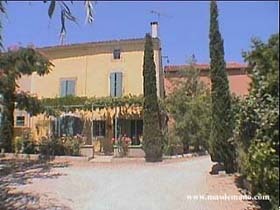 to visit Roman Provence, its touristic and natural sites, its beaches.